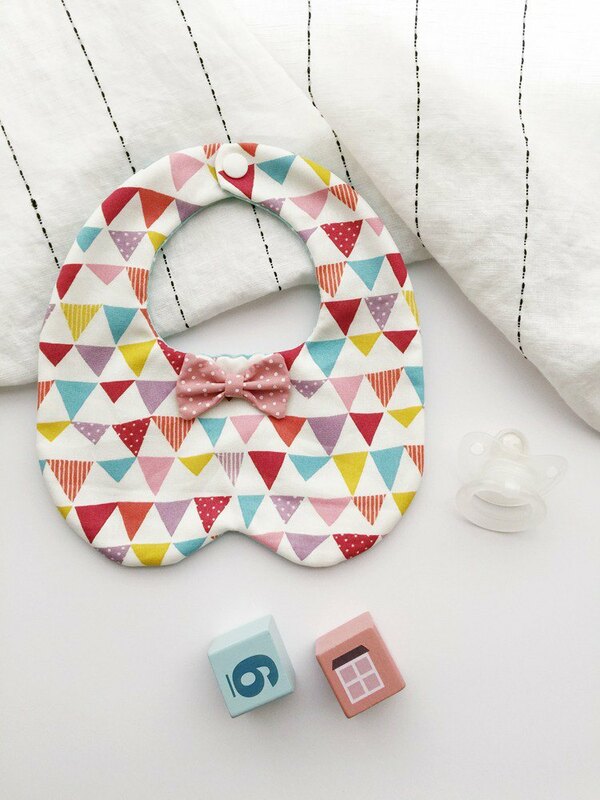 Baby also needs styling Give her a bib like a collar Everyone looked out and felt cute~ ++++++++++++++++++++++++ More bib styles: https://www.pinkoi.com/store/hairmo?subcategory=405 Please read the product description before subscript. If there is a problem, it must be raised to avoid future disputes. ++++++++++++++++++++++++ If you have special needs (such as modifying the size or embroidery), please ask for bargaining first. The fabric will be replaced at any time. Ask the designer if there is any stock before the subscript. ++++++++++++++++++++++++ **@Do not include photo products. No pacifier chain** @Double-sided design, both positive and negative are available @正反-like soft shirt fabric, inside 6 layers of yarn @脖 circumference within 29 cm of baby use (within 15 kg) @Plastic buckle @手工制作, perfectionist please do not buy ※ Unless the 瑕疵 factor, the goods will not be returned and exchanged (modify the original size, pattern, color, embroidery, etc...) ※There is a slight error in the color of the computer, and the product is subject to the actual delivery style. ※If such products are unpacked, used, or disassembled for lack of completeness, they cannot be returned.